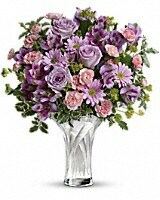 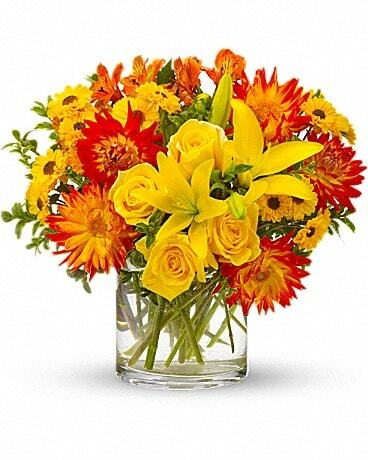 Teleflora's Isn't She Lovely Bouquet - by Weber's Nursery & Florist, Inc. Simply exquisite. 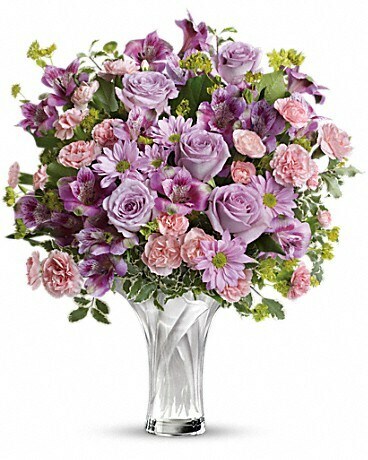 This stunning arrangment of purple and pink blooms is beautifully presented in a Celebrate Mom glass vase. 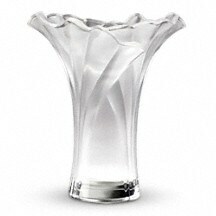 This gorgeous sculpted glass vase is a part of Teleflora's exclusive Flowers-in-a-Gift collection. 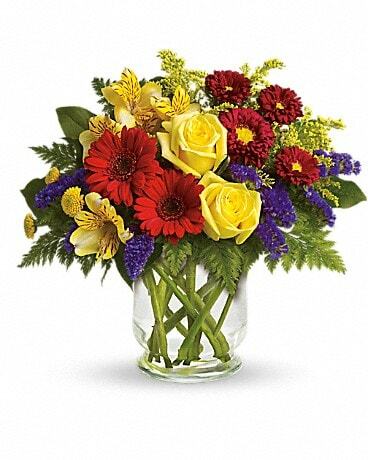 Wonderfully elegant, it is a gift she will treasure for years to come!